The Central Florida Aquarium Society (“CFLAS”) (hereinafter, collectively the “Companies”, “us”, “we” or “our”) may revise and update these Terms and Conditions at any time. Your continued usage of the website (“Site”) will mean you accept those changes. Our mission is to bring you objective and trustworthy information on the web. Our daily goal is to ensure that we are your practical and relevant content source for aquaculture-related news, discoveries, and knowledge. We are committed to providing information on a wide variety of aquaculture topics, and rather than filtering certain types of information that may or may not be applicable to any one individual's personal experience or preferences, we rely on you, our reader, to choose the information that is most appropriate for you. Be aware, however, that information on the Site or any other website should not be used as a substitute for professional advice. You should always consult a local professional before acting on any information seen on the Site or any other website. Relevance — Issues that could affect how you manage your aquaculture. Topics include coverage of breaking aquaculture news; pharmaceuticals and product launches, recalls, and alerts; product or service warnings and advisories; and expert commentary on managing aquaculture. Industry Significance — Aquaculture findings published in peer-reviewed blogs and journals, such as AdvancedAquarist.com, PracticalFishkeeping.com, IFLScience.com, TropicalFishHobbyist.com, and many others. Trends — Seasonal interests, such as “Winterizing Ponds”, “Shark Week”, and emerging aquaculture trends, such as the latest in pharmaceuticals, nutrition, alternative approaches, and much more. Our news team is an independent media service designed to provide news, information, and educational material to consumers and industry members. The news content we create is free from influence by sponsors, partners, or other sources. Anyone who serves on our news team must fully disclose any financial or other interests that he or she may have in any aquaculture, pharmaceutical, or other company perceived to have influence in the aquaculture industry. Such disclosure must be made to CFLAS prior to becoming an author or at the time that the financial or other interest develops. CFLAS will determine whether the interest presents a conflict and, if so, what must be done to eliminate it. Our news team is charged with the responsibility of providing objective, accurate, and balanced accounts of events and issues. Our reporters must diligently seek out subjects of stories or qualified experts to provide commentary. They must also seek objective commentary or comment from a qualified spokesperson to provide balance. Material generated by our news team must disclose information about financial relationships or other interests that might influence outcome of a study or the commentary from an individual. Our journalists strive to provide thorough and honest coverage and share a dedication to ethical behavior and the highest professional standards. Our Editorial team gets its stories from an array of sources: peer-reviewed blogs and journals, conferences, local and national announcements and policies, and industry-related material derived from interviews with experts. We believe that valuable content is available from our sponsors, advertisers, and partners, but that such content must be clearly labeled. When we license content from third-parties for publication on our Site, a CFLAS editor reviews the third-party's editorial policies and procedures for consistency with our Editorial Policies. While our Editorial Team may not review each page of the third-party licensed content, our Editorial Team does review a representative sample of the content to ensure that the third-party implements the editorial policy and procedures we review and that the content is timely and relevant. In using our Site, you will see that some content, buttons, badges and banners are labeled “Sponsored”, “From Our Sponsor”, “Advert” or “Advertisement”. This content has not been reviewed by our Editorial Team and is not subject to this Editorial Policy. Content, buttons, badges or banners labeled “Sponsored” or “From Our Sponsor” are also subject to the policy governing Our Sponsors. Content, buttons, badges and banners labeled “Advert” or “Advertisement” are subject to our Advertising Policy. CFLAS is committed to providing you accurate, clear, and error-free information to help you make informed decisions for your aquaculture projects. Our policy is to make corrections or clarifications to original content when necessary. We take prompt action to edit even minor errors like spelling, grammar, or stylistic changes. This corrections policy only applies to CFLAS original content, including, but not limited to, news, articles, or original knowledgebase or other reference material. Any corrections to licensed or third party content are the responsibility of the publisher. If you believe you have found an error in any of our content, let us know by sending an email to our customer service team using the “Contact Us” link in the footer section of our site. The following guidelines have been established by CFLAS to govern various aspects of Advertising on the Site and any of its social media and community-based groups (the “Networks”). For these purposes, the terms “Advertising”, “Advertisements” and “Adverts” include but are not restricted to third party banners, badges, contextual Advertising, sponsored content, and promotions. The guidelines in this policy govern issues like acceptance of Advertisements and promotions by CFLAS, how Advertisements and promotions are displayed on the Site, and the removal of Advertisements and promotions from the Site. While third party (sponsor influenced) content must adhere to this Advertising Policy, labelling of sponsored content is governed by Our sponsor policy. CFLAS has sole and absolute discretion with respect to interpretation and enforcement of this policy and all other issues associated with Advertising on the Site. We may change this policy at any time in our sole discretion by posting a revised policy to the Site. CFLAS has sole discretion for determining the types of Advertising that will be accepted and displayed on the Site, and under no circumstances will our acceptance of any Advertisement be considered an endorsement of the product(s) and/or service(s) advertised or for the company that advertises, manufactures, distributes, or promotes the products or services. CFLAS will not accept Advertising that, in our opinion, is not factually accurate and in good taste. Advertisers must only offer products or services that are readily available for purchase at the advertised price (with noted tax and delivery fees). The Advertising must also clearly identify the advertiser. Any Advertising that could be misconstrued as editorial content will be clearly labelled as Advertising. Clicking on the Advertisement unit will link you to an advertiser's site, to relevant information on the Site, or to a Sponsor's Resource Center on the Site. Sponsored Resource Centers are labelled as being sponsored and the name of the sponsoring entity is displayed. See Our sponsor policy for more information about how we label information from our Sponsors and the steps we take to help you understand the differences between our content and sponsored content. CFLAS retains the exclusive right to determine how any and all search results for specific information by keyword or topic are displayed on the Site. The search results are not influenced based on monetary incentives provided by Advertisers or Sponsors. Content listed in search results is displayed with its source e.g. “News” or “Journal Article”. If Sponsored content appears in the search results, it is labelled as “Sponsor” so that users can make informed decisions about the content they wish to view. In addition, we provide a separate area on the search results page labelled “Sponsors” in which sponsors and advertisers may purchase space to list their content or advertising. See Our sponsors for more information. We reserve the right to reject, cancel, or remove at any time any Advertising from the Site for any reason and will provide prompt notice to the advertiser upon rejection, cancellation, or removal of any Advertising, together with an explanation following the rejection, cancellation, or removal. We also reserve the right to determine the appropriate placement of the Advertising on the Site. While third party (sponsor or advertiser produced) content must adhere to this Advertising Policy, labeling of sponsored content on the Site is governed by Our sponsor policy, which describes how we label information from our sponsors and the steps we take to help our end users understand the differences between CFLAS content and sponsored content. It is the Advertiser's responsibility to comply with all domestic and foreign laws and regulations, including laws and regulations of regulatory bodies applicable to its Advertising on the Site (and to include all legally required legends, disclosures and statements in such Advertising). CFLAS will not monitor compliance with such laws and regulations. However, we reserve the right to review all Advertising for compliance with applicable laws and regulations and, if we become aware of any breach or potential breach of any applicable law or regulation or of these guidelines, we may remove the Advertising from the Site. No Advertising will be allowed on the Site that could injure the good name or reputation of CFLAS or the Site. No Advertising on the Site shall include any pixels, tags, flash containers or any other type of information collection software code or shall place any beacons, cookies or other information collection devices on the browsers of users of the Site unless expressly approved in writing by CFLAS. At CFLAS, we regularly seek sponsorships and advertisements from relevant local small businesses, commercial organizations, manufacturers, and other leaders dedicated to providing aquaculture-related information, resources, and products. Although there is a commercial benefit for CFLAS, sponsor information also benefits you, the CFLAS user, by providing you with information on aquaculture-related products and services available in the marketplace. CFLAS provides opportunities for sponsors to bring you their marketing message and information about their products and services by publishing their information or links within our Site. For more information, read our Advertising Policy. Note: Individual contests may have their own special qualifications and eligibility rules. CFLAS contests are open to all CFLAS members and fans in Florida, unless a specific age is required due to the type of contest, participating agency or advertiser by law. Only one person per family may qualify or win a CFLAS contest within a 30 day period. All CFLAS contest winners agree to allow CFLAS to use their name or likeness for promotional purposes without further compensation and may be required to sign a release. All CFLAS contestants understand and agree that their participation constitutes authorization to be added to the CFLAS electronic newsletter mailings, and may opt-out at any time by following the unsubscribe link contained at the bottom of each newsletter. CFLAS is not responsible for problems occurring within contest forms or other electronic means of transmittal which either inhibit or increase the chances of winning a CFLAS contest. Employees and agents of CFLAS sponsors and advertisers, and their families, are ineligible to enter CFLAS contests. Winners are required to submit a photo featuring themselves with their prize. Prize may remain in box, or be used. Failure to do so will forfeit winner to be eligible for future prizes for a 12-month period, starting from the date of contest drawing in which they won. Unless otherwise stated, all prizes must be picked up, or scheduled to be picked up locally, either from an official CFLAS sponsor or Board Member, or at a CFLAS event within 30 days from the contest end date. Winner may opt to have item shipped as long as winner pre-pays all shipping and handling fees. CFLAS reserves the right to revoke prizes if the winner does not meet any or all eligibility requirements, even though an announcement has been made that person was the winner. A 1099 MISC form will be completed and filed with the Internal Revenue Service for each winner who wins prizes valued at $600 or more over the course of a calendar year. All local, state and federal taxes are the sole responsibility of the winner. CFLAS may, due to the unavailability of prizes awarded, substitute another prize of equal or greater value for the prize originally won. CFLAS is not responsible or liable for prizes awarded to an event that is canceled due to circumstances beyond our control. With respect to any disputes regarding contests, the decision of CFLAS is final. CFLAS, its agency and representatives shall not be liable for any claim, injury or damage from any CFLAS contest or prize awarded in a contest. All contest entries become the property of CFLAS. CFLAS may withhold any or all contest entry materials for any reason CFLAS deems crucial to the completion of the contest or for reasons relating to publicity or advertising. We use your mailing address information in contests only for verification of residency within the state of Florida, or for mailing a prize to the winner. We use e-mail addresses to answer e-mail we receive pertaining to contests, content, questions, and for delivery of our electronic newsletter. Under no circumstances do we share this personally-identifiable information with outside parties. You can also register with our website if you would like to receive our newsletter as well as updates on our new products and services. We use non-identifying and aggregate information to better design our website and to share with sponsors and advertisers. For example, we may tell an advertiser that X number of individuals visited a certain area on our website, or that Y number of men and Z number of women filled out our registration form, but we would not disclose anything that could be used to identify those individuals. You can opt-out of our monthly newsletter by using the newsletter unsubscribe feature contained within the newsletter, or at the footer of our website. For all other requests, please use the “Contact Us” link found in the footer of our website. Should you have other questions or concerns about these privacy policies, please use the “Contact Us” link found in the footer of our website. CFLAS has adopted the following policy toward copyright infringement in accordance with the Digital Millennium Copyright Act (http://lcweb.loc.gov/copyright/legislation/dmca.pdf). The address of the Designated Agent to Receive Notification of Claimed Infringement (“Designated Agent”) is listed at the end of this policy. That repeat offenders will have the infringing material removed from the system and that CFLAS will terminate such content provider’s, member's or user’s access to the service. Content provider's, member's or user's name, address, telephone number, and, if available, e-mail address and a statement that such person or entity consents to the jurisdiction of the Federal Court for the judicial district in which the content provider's, member's or user's address is located, or if the content provider's, member's or user's address is located outside the United States, for any judicial district in which CFLAS is located, and that such person or entity will accept service of process from the person who provided notification of the alleged infringement. If a counter-notice is received by the Designated Agent, CFLAS may send a copy of the counter-notice to the original complaining party informing that person that it may replace the removed material or cease disabling it in 10 business days. Unless the copyright owner files an action seeking a court order against the content provider, member or user, the removed material may be replaced or access to it restored in 10 to 14 business days or more after receipt of the counter-notice, at CFLAS' discretion. The contents of the Site, such as text, graphics, images, information obtained from our licensors, and other material contained on the Site (“Content”) are for information purposes only. The content is not intended to be a substitute for professional advice, diagnosis, or treatment. Always seek the advice of your local industry professional or other qualified aquaculture professional with any questions you may have regarding a specific condition. Never disregard professional advice or delay in seeking it because of something you have read on the site! The Site may contain terms or materials that are related to aquaculture, including but not limited to anatomy, breeding, or other related sexual nature. If you find these materials offensive, you may not want to use our Site. We authorize you to view or download a copy of the Content on the Site solely for educational, entertainment, and/or non-commercial use. In instances where you, or any organization you are affiliated with will be reusing or broadcasting any Content on the Site, you may do so for educational, entertainment, and/or non-commercial use, providing it is not for means of defamation, slander, or casting a negative light towards us, this Site, our sponsors, advertisers, 3rd-party sources, or our licensors. 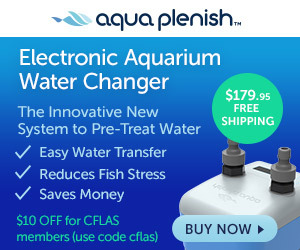 You must include a visible link back to the original document where the original Content resides on the cflas.org domain, or by linking directly to “cflas.org”, citing the source as “Central Florida Aquarium Society”, along with any other copyright and proprietary rights notices that are contained in the Content. Photo and video credit must accompany all images and videos that are reused – directly hosted, embedded, or otherwise. If you re-encode any images or videos, or use them in a broadcast, you must audibly and/or visibly reference the Central Florida Aquarium Society by including “Central Florida Aquarium Society”. If you publish this content to any social media platform, you must also include a visible and clickable link to our social media account on the same platform. If on Facebook, use “Central Florida Aquarium Society / facebook.com/CFLAS”. If publishing on Twitter or Instagram, use “Central Florida Aquarium Society / @OfficialCFLAS”. When publishing to any other social media network, use “Central Florida Aquarium Society / cflas.org”. Once published, we request that you provide us with a link to the content being reused or final publication. In the case of re-encoded or broadcast Content, we request a method to view and/or download the Content. You further agree to allow the Central Florida Aquarium Society rights to cite, link to, or reuse your re-encoded or broadcasted Content generated with the Content found herein. Any special rules for the use of certain software and other items accessible on the Site may be included elsewhere within the Site and are incorporated into these Terms and Conditions by reference. The Content is protected by copyright under United States and other laws. Title to the Content remains with us, our sponsors, advertisers, 3rd-party sources, or our licensors. 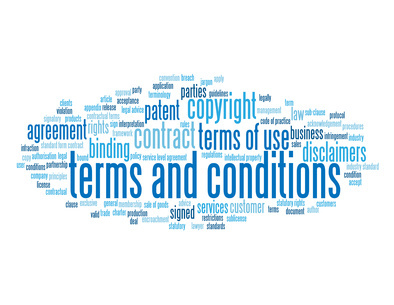 Any use of the Content not expressly permitted by these Terms and Conditions is a breach of these Terms and Conditions and may violate copyright, trademark, and other laws. Content and features are subject to change or termination without notice in our editorial discretion. All rights not expressly granted herein are reserved to us and our licensors. Content by Central Florida Aquarium Society is licensed under a Creative Commons Attribution – Non-Commercial – Share-Alike 4.0 International License. Permissions beyond the scope of this license may be available on our policy page. The Site and the Content are provided on an “as is” and “as available” basis and do not constitute advice. The companies, their licensors, and their suppliers, to the fullest extent permitted by law, exclude all warranties, either expressed or implied, statutory or otherwise. In no event shall either CFLAS or their suppliers be liable for any, indirect, incidental, special, or consequential damages arising out of or in any way connected with any loss or damage resulting or arising from any non-availability or use of the Site or of any other website linked to it, or from reliance on the Contents or any material or content accessed through it. The availability, accuracy, reliability, completeness, currentness, or timeliness of the Content, software, text, graphics, links, or communications provided on or through the use of the Site or any website that may be accessed from it. The satisfaction of any government regulations requiring disclosure of information on food or pharmaceutical products or the approval or compliance of any software tools with regard to the Content contained on the Site or any website that may be accessed from it. You should ensure that you have appropriate protection against viruses and other security arrangements in place whilst visiting the Site. You agree that you will not upload or transmit any communications or content of any type to the Public Areas (including blogs, message boards, social media platforms, social media or community-ran groups, etc.) that infringe or violate any rights of any party. By submitting communications or content to the Public Areas, you agree that such submission is non-confidential for all purposes. If you make any such submission you agree that you will not send or transmit to us by email, (including through the email addresses listed on the “Contact Us” link) any communication or content that infringes or violates any rights of any party. If you submit any business information, idea, concept or invention to us by email, you agree such submission is non-confidential for all purposes. If you make any submission to a Public Area or if you submit any business information, idea, concept or invention to us by email, you automatically grant or warrant that the owner of such content or intellectual property has expressly granted us a royalty-free, perpetual, irrevocable, world-wide nonexclusive license to use, reproduce, create derivative works from, modify, publish, edit, translate, distribute, perform, and display the communication or content in any media or medium, or any form, format, or forum now known or hereafter developed. We may sublicense its rights through multiple tiers of sublicenses. If you wish to keep any business information, ideas, concepts or inventions private or proprietary, do not submit them to the Public Areas or to us. We try to answer every email in a timely manner, but are not always able to do so. By uploading any media like a photo or video, (a) you grant to CFLAS a perpetual, non-exclusive, worldwide, royalty-free license to use, copy, print, display, reproduce, modify, publish, post, transmit and distribute the media and any material included in the media; and (b) you certify that any person pictured in the submitted media (or, if a minor, his/her parent/legal guardian) authorizes each of us to use, copy, print, display, reproduce, modify, publish, post, transmit and distribute the media and any material included in such media; and (c) you agree to indemnify each of us and our affiliates, directors, officers and employees and hold us and them harmless from any and all claims and expenses, including attorneys' fees, arising from the media and/or your failure to comply with these the terms described in this document. We reserve the right to review all media prior to submission to the site and to remove any media for any reason, at any time, without prior notice, at our sole discretion. We have several tools that allow you to record and store information. You are responsible for taking all reasonable steps to ensure that no unauthorised person shall have access to your passwords or accounts. It is your sole responsibility to (1) control the dissemination and use of activation codes and passwords; (2) authorise, monitor, and control access to and use of your account and password; (3) promptly inform us of any need to deactivate a password. You grant CFLAS and all other persons or entities involved in the operation of the Site the right to transmit, monitor, retrieve, store, and use your information in connection with the operation of the Site. Neither CFLAS can and does not assume any responsibility or liability for any information you submit, or your or third parties' use or misuse of information transmitted or received using the Site’s tools and services. Posting the same note more than once or “spamming”; or Engaging in any other conduct that restricts or inhibits any other person from using or enjoying the Public Area or the Site, or which, in the judgment of the Companies, exposes us or any of our customers or suppliers to any liability or detriment of any type. Terminate a user's access to any or all Public Areas and/or the Site upon any breach of these Terms and Conditions. We may provide links to third-party web sites. We also may select certain sites as priority responses to search terms you enter and we may agree to allow advertisers to respond to certain search terms with advertisements or sponsored content. We do not recommend and do not endorse the content on any third-party websites. We are not responsible for the content of linked third-party sites, sites framed within the Site, third-party sites provided as search results, or third-party advertisements, and do not make any representations regarding their content or accuracy. Your use of third-party websites is at your own risk and subject to the terms and conditions of use for such sites. We do not endorse any product, service, or treatment advertised on the Site. You agree to defend, indemnify, and hold CFLAS, and its officers, directors, employees, agents, licensors, sponsors, advertisers, and suppliers, harmless from and against any claims, actions or demands, liabilities and settlements including without limitation, reasonable legal and accounting fees, resulting from, or alleged to result from, your breach of these Terms and Conditions. CFLAS is based in the United States with offices in Orange County, Orlando, Florida. We make no claims that the Site and the Content are appropriate or may be downloaded outside the United States. Access to the Content may not be legal by certain persons or in certain countries. If you access the Site from outside the United States, you do so at your own risk and are responsible for compliance with the laws of your jurisdiction. The following provisions survive the expiration or termination of this Agreement for any reason whatsoever: Liability, User Submissions, User Submissions — image, video, audio files, Indemnity, Jurisdiction, and Complete Agreement. You expressly agree that exclusive jurisdiction for any dispute with CFLAS, or in any way relating to your use of the Site, resides in the courts of Orange County, Florida and you further agree and expressly consent to the exercise of personal jurisdiction in the courts of Orange County, Florida in connection with any such dispute including any claim involving CFLAS or its affiliates, subsidiaries, employees, contractors, officers, directors, telecommunication providers, and content providers. These Terms and Conditions are governed by the laws of the State of Florida without respect to its conflict of laws principles. If any provision of these Terms and Conditions is found to be invalid by any court having competent jurisdiction, the invalidity of such provision shall not affect the validity of the remaining provisions of these Terms and Conditions, which shall remain in full force and effect. No waiver of any of these Terms and Conditions shall be deemed a further or continuing waiver of such term or condition or any other term or condition. You agree to defend, indemnify and hold the Companies, their officers, directors, employees, agents, licensors, and suppliers, harmless from and against any claims, actions or demands, liabilities and settlements including without limitation, reasonable legal and accounting fees, resulting from, or alleged to result from, your violation of these Terms and Conditions. A statement that the information that you have supplied is accurate, and indicating that “under penalty of perjury,” you are the copyright owner or are authorized to act on the copyright owner's behalf.